We're an award-winning digital marketing agency and we consistently aim to deliver a selection of high-quality digital marketing services. All of our services are just that, services, they’re not products simply bottled and sold to every one of our clients in the same way. Our marketing agency services are bespoke and are tailored to each and every clients’ needs. Whether you’re looking to become an industry leader in your field, or you need help implementing fantastic user experience, we can build a bespoke service offering just for you! Our sub-teams are packed full of digital marketing experts to help you along the way from your very first introduction call or meeting. We believe that all clients should speak directly with respective members of the teams in order to keep communication clear and transparent throughout campaigns. This approach also helps minimise mistakes and misunderstandings between team and client. Our services cover all the important areas of digital marketing from SEO and social media, to content and outreach marketing. Read more about each service below. 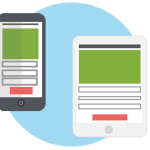 Our mobile marketing service includes dedicated digital marketing branches of SEO, PPC, content marketing and conversion rate optimisation (CRO). With mobile now becoming a priority for many ecommerce businesses, we are confident in our approach and delivery of mobile marketing. Our teams’ in-depth knowledge and expertise can help give your mobile strategy direction, structure and most importantly, the strategy will deliver a result that you’re happy with and that we’re proud of! Put simply, we can ensure your brand becomes more visible through the search engine’s eyes but it’s not just about visibility. We want your brand to grow in authority and overall quality. 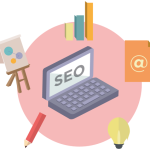 We employ a mixture of both on-site and off-site organic SEO techniques, to ensure your SEO campaigns are concurrent. We are proud of our reporting procedures and our transparent approach to all SEO campaign reporting. We believe, as the client, you should be able to ask questions about your campaigns freely and we aim to deliver open, honest and real time answers. Our content team is a team packed full of passionate content marketers. Always thinking outside the creative box, we aspire to deliver top notch, shareable content that brings your web visitors back for more. It’s our job to make sure all your visitors landing on your site are reading superior quality content, content that is relevant and interesting to read. We also offer a holistic approach to PR and outreach as part of our content marketing services, we can create all kinds of content for your brand, from blog posts to infographics. We can help your business find its voice and set you on the path to becoming an industry thought leader. With 74% of consumers looking to social media before purchasing, we think social media should form a large part of your digital marketing strategy. Particularly if you’re the proud owner of an e-commerce website, if you don’t have a social presence, then you’re missing out. The chances are, your target market are using social platforms every day. Take Twitter for example, in the UK alone it has over 15 million active users. We can help your brand build and maintain a social media presence by increasing not only your following, but your level of user interaction supported by a well-cultivated social strategy. 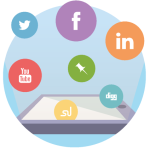 We work across a variety of platforms including, Facebook, Twitter, LinkedIn, Google Plus and Instagram. Our paid media services are here to help you gain guaranteed brand exposure, through carefully targeted adverts. Paid media is a fantastic way to reach highly-relevant markets, resulting in a higher volume of clicks, impressions and an overall elevated interaction with your brand. It’s a sure fire way to get your brand right in front of your target audience when they need you most! We offer a wide scope of paid media services, including, PPC, Display, Google Shopping, Facebook ads, Twitter ads and YouTube ads. CRO is the backbone of any online business. 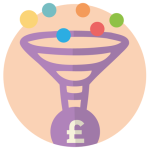 The process of nudging your consumers down the funnel, toward that all important conversion. Whether you’re an ecommerce website after a purchase, or a lead generation site after a completed enquiry form, a conversion is the ultimate goal. 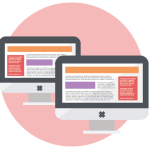 Here at Hit Search, we offer a multitude of CRO services so you can truly understand how your site is performing. 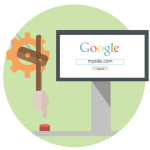 Our services include, CRO review, A/B test, URL split test, heatmaps and multi-variant tests. Knowledge is power, and we want to share our abundance of knowledge and expertise with your business to make it powerful! 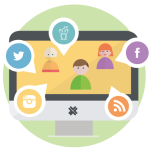 We can formulate a specific digital strategy to help bring your business model to life. Digital marketing is one of the most measureable forms of marketing, where your business can constantly evolve to suit the ever-changing consumer landscape. It’s not enough for your business to adopt a reactive nature, you need to marry it with a proactive nature as well. Our winning digital strategies will open your eyes to new aspects of digital marketing to help increase your revenue and equally importantly perhaps, the ease of measuring your return on investment (ROI).